Our videos (in german) are a “step to step" instruction for using GAEB-Converter. The GAEB-Converter is build up modularly, as a result it customizes users’ needs. 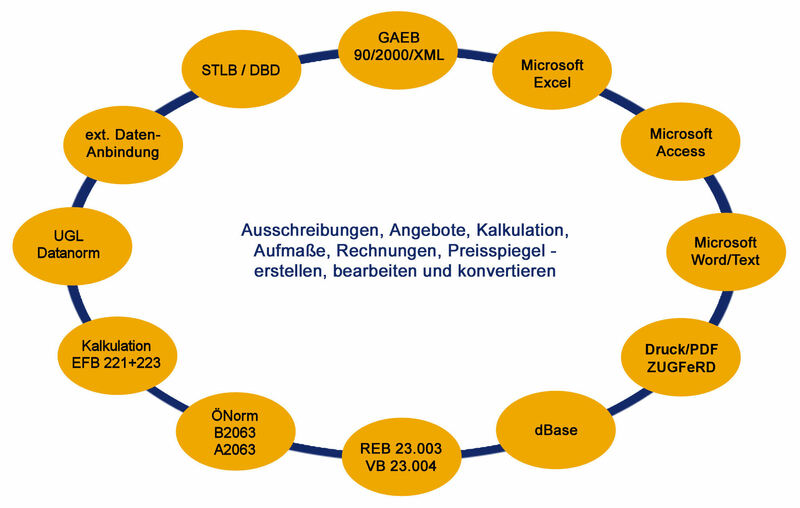 To obtain more information about single modules, click on the appropriate area of the graph or read the short-manual (additional information in german).